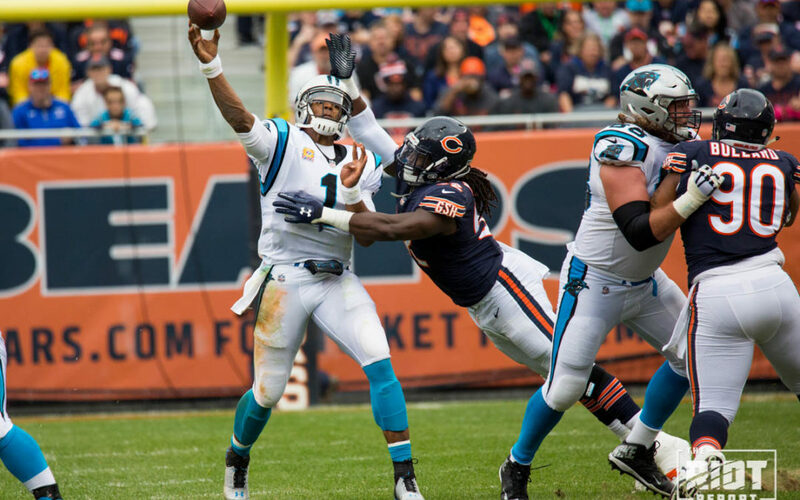 The Panthers offense was only able to manufacture three points on Sunday against Chicago and while head coach Ron Rivera said that the game came down to only three plays which allowed the Bears to come away with a 17-3 victory in which they only had five first downs and their quarterback completed only four passes, I counted almost fifty. Monday we took a look at the running plays which failed the Panthers, and today we’ll examine the passing attack. Twenty-seven times on Sunday a Panthers’ passing play gained less than four yards, albeit one being saved by a fortuitous penalty; while passing plays don’t always succeed, for a team to have this many failed passing plays speaks to far more than the uncertainty of opting to throw the ball. While there isn’t space to look at every passing play in detail, this article will hopefully show the ways in which the Panthers’ passing offense failed to put itself in a position to succeed using a few detailed examples. The fact that passing plays don’t always work out can be seen as the price of doing business when it comes to offensive strategy. Sometimes quarterbacks miss reads or throws, and while Cam Newton’s mistakes cost the Panthers quite dearly on Sunday, this problem is one of the less severe of those being detailed here. It would be nice if these mistakes weren’t made but, on the whole, similar mistakes would be seen watching any offense on any given Sunday. The most basic error that a quarterback can make is missing the target, in this case, Kelvin Benjamin. This is not an easy throw, and there are other issues with this play, but Benjamin is open enough that the pass should be completed. Benjamin could likely have done a better job of catching this pass, and the blame is certainly not all on Cam, but these plays are ‘mistakes’ none the less. However, poor accuracy doesn’t always have to lead to an incompletion to hurt a play. On the following play, the Panthers get the read they want, and McCaffrey should be able to pick up the first down after the catch, but the poor throw forces him to stop and so allows the linebacker to make the tackle. The pressure certainly didn’t help but, again, this is a ‘mistake’. The other way in which player error can hurt an offense consistently is when the quarterback makes poor reads. In recent years, Cam has sometimes been guilty of trying to force the ball to Benjamin, and on both of the following plays that is the case. In the first instance, he should have hit Dickson over the middle for the short gain to set up a very makeable third down. On the ensuing third down, Cam again tries to force the ball to Benjamin despite him not even vaguely being open, leading to the unlucky interception. While Shepard wasn’t wide open, had he looked to him instead, there was a reasonable chance of the first down being picked up. 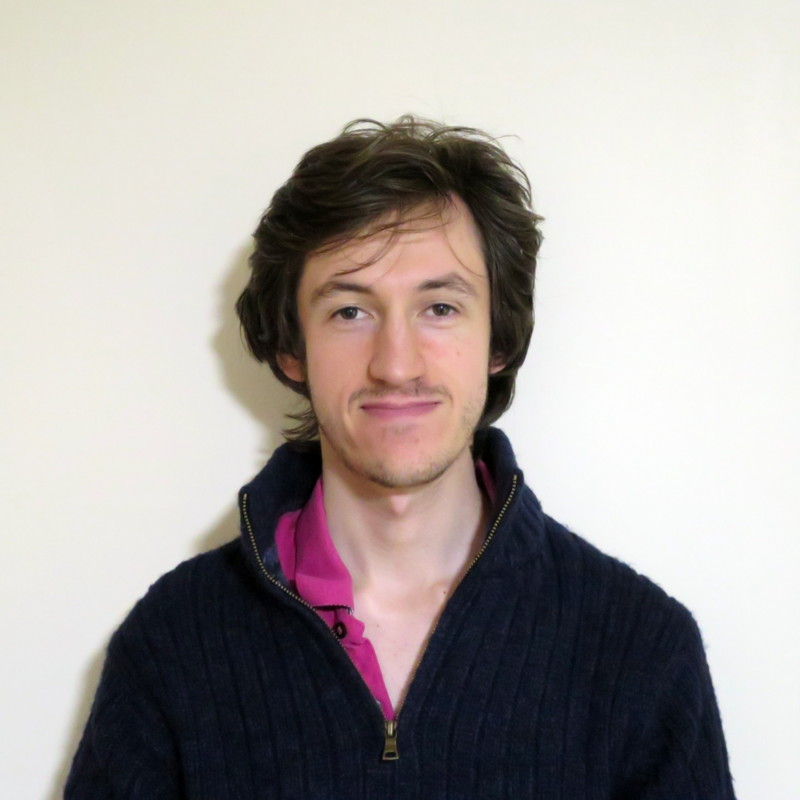 This has been more of a persistent theme for Cam than is sometimes acknowledged and, while it sometimes isn’t that detrimental, it is something that needs to be addressed as, quite frankly, Benjamin has failed to produce at a level to justify Cam’s apparent trust. With all that said, the play calling and play design have been far more troubling factors in the Panthers’ passing game of recent years, something that was evident on Sunday. As detailed in an earlier piece, the Panthers had a propensity to try and run the ball against stacked boxes on Sunday. Frustratingly, they also had a tendency to throw the ball against two-high safety looks. On the following play, there are admittedly issues with blocking, but why the Panthers don’t look to run the ball against this look is frankly baffling. If nothing else, a run/pass option with Samuel running behind the far-side linebacker would have almost certainly lead to a reasonable gain. Why they don’t chose to run the ball over the right tackle here, with Dickson as a lead blocker is almost inexplicable. They have seven blockers for the seven box defenders with the two safeties deep. It is impossible to know from the outside whether this was a Cam Newton check or a Mike Shula playcall, but either way what they’re doing isn’t working. The play calling doesn’t end with run vs pass, the use of screens has sometimes been questionable as well as on the following play, the Panthers look to run a receiver screen despite two defensive backs being in the area. The Panthers gave up several sacks on Sunday, due not to poor pass protection but rather a lack of open receivers. While the pass protection was not perfect by any means, if there is nobody open, the play will fail regardless. Generally speaking, these failings come down to the use of protections and route combinations. While it might seem illogical for max protection schemes to lead to more sacks, this can in fact be the case, as it was several times on Sunday. On all of the following plays, the Panthers keep multiple blockers in, at least initially, and all lead to there being far more defenders in coverage than receivers. While picking apart coverages should be somewhat of a formality, this relies on a sensible combination of routes, something the Panthers have lacked at times. The most common form this takes is in the use of multiple vertical plays. On the following play, all of the Panthers routes are slow to develop, and none take advantage of the space underneath the deep coverage. This forces Cam to hold onto the ball for longer than he should and leads to pressured throws and sacks. Given the zone coverage faced here, a simple underneath curl would likely have gained a number of yards with limited risk. Even worse, some times the Panthers have resorted to full verticals, where all four receivers run go routes, with the running back sitting down against zone. There is not a single man-beating route on this play, which leaves no option against man coverage and Cam has to force a downfield throw that could well have been intercepted. Nothing is gained by the fourth vertical, there is no coverage beaten by it and not the other three, so why do it? The following play is another example of redundancy, though it isn’t far from success. Here, Funchess is used to pull the safety deep, with McCaffrey and Funchess both running blitz-beating routes. Given the defense’s failure to blitz, this should create a simple man vs zone read for the quarterback who can hit either Dickson or Benjamin depending on the coverage. The only issue here is that both of them are running zone-beating routes. There is no man-beating route. Nothing is gained by repeating the zone-beating route but yet that is what happened. Had Benjamin run a slant back inside he would have been open, as Funchess forces the ‘robber’ defender up the field, but alas, he doesn’t, and he isn’t. Shula’s plays often aren’t a million miles away from being good, this following play only needs a slight modification to pick up the first down. Benjamin’s post route should be open here, but because McCaffrey’s route fails to force the linebacker outside he is able to sit underneath the post and take it away. Cam Newton and the receivers are responsible for some of the issues in the passing game, as is the pass protection at times, but far too often they are not put in a position where they have a reasonable chance of succeeding. Some of this may fall on Newton in terms of making checks, but there are also consistent issues with how Shula designs plays both from a protection and route concept perspective. Unless these issues can be fixed, the Panthers are going to continue to have unnecessary negative plays in the passing game. But there are even problems which go beyond just the offensive struggles, and we will be looking at those tomorrow.